Darby Layered Scalloped Curtain Valances are an elegant way to create a sophisticated look. Lovey textured jacquard with a large scaled floral pattern. Top layer is corded with coordinating rope cording, both layer is a solid faux satin. Valance has 3" Pocket & 1 1/2" header. Valances are sold individually; each is 50"W. Window treatment is machine washable. For proper fullness, use approx two times your window width in fabric, use multiple panels for wider windows. Also can be hung flat with less fullness. When I placed my order, there were only four valances in stock. I chose a tension rod for a pair of valances above my kitchen sink that created soft, full ruffles across the top. I used the single valances for each of the bay windows but although the ruffles aren't as full, they still look nice. I'd love to order two more valances because the fuller ruffles are more appealing. The detailed construction could easily be mistaken for custom made. I'm very pleased with my purchase. Quality product with an excellent price! Do you have swags or panels that will match the Darby valance? I wanted a clean, crisp look with some color. These valances are beautiful! They look even better than the picture. I was afraid the design of flowers on them was just a print but it is actually made of thread. Very nice!! I found sways galore on the internet looking for valances. So lucky I found Swags Galore! So many choices to choose from. I was worried about the quality because of such a low price. I ordered four anyway. 100% return why not!! 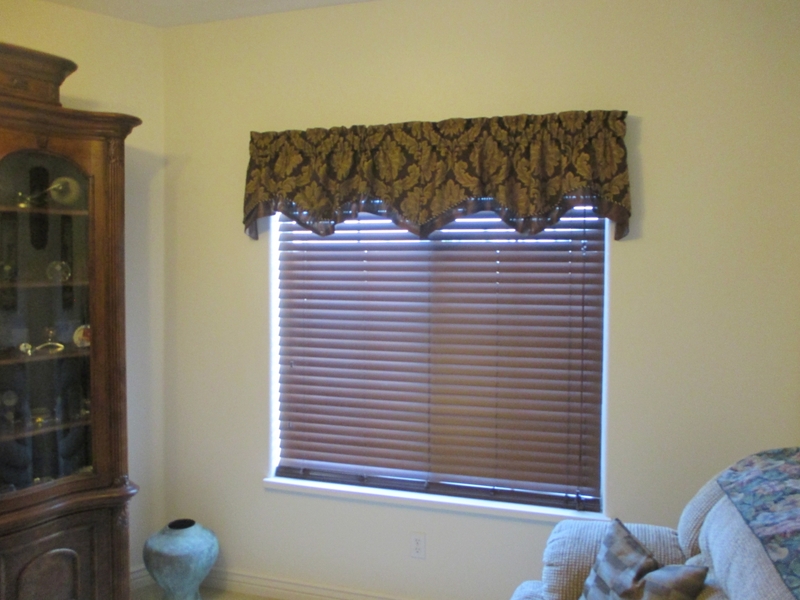 I received the valances and found them to be the best material and highest quality outside of custom made. Beautiful. Prompt delivery, no problems, and a big smile on my face. This company is top notch and sells quality. I hung them up and have had lots of "wow do they look nice". wish I had more windows. The cafcolor with gold accents and the brown layering at the bottom is very elegant! Beautiful in my formal living room! So nice I am buying more for the dining room! The construction was satisfactory, the valance hung well, and the colors were pleasantly melded. Outstanding service .. Love my swags !! These are beautiful and with a lot less price tag than the retail stores I had been looking at. Needed valances for remodeled kitchen. Love the colors. Looks better than picture. Arrived ed in mail short time. Beautiful valance- just as described. Shipping was fast and the quality was excellent. I would definitely purchase from Swagsgalore again. Thank you. My item just arrived today. I love them!!!! 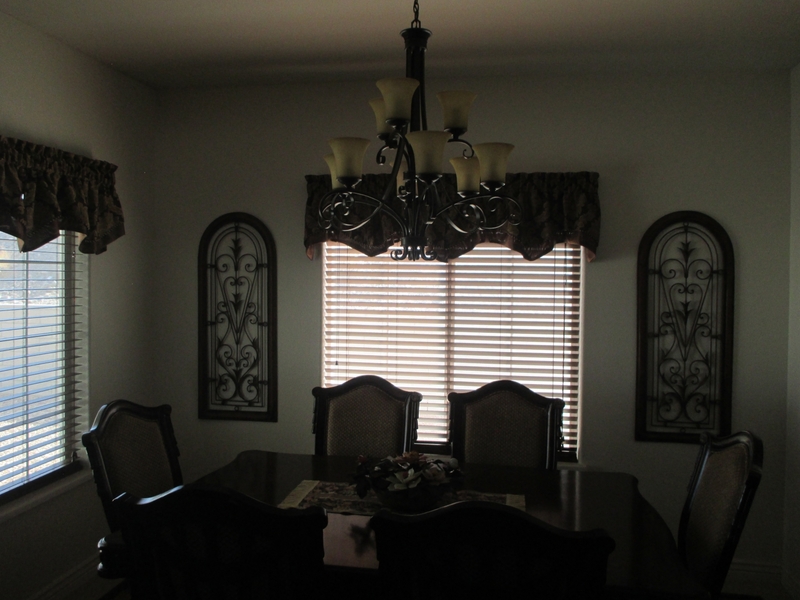 I order the Flame valances and they look amazing in my Dining room. Very pleased with color, quality, and price!! Vibrant colors and very attractive! They were very beautiful and i like the quality. But I ordered the wrong color and is waiting for my exchange to arrive. Can't Wait! This valace is absolutely beautiful! Don't be fooled by the price as it will definetely cost much more somewhere else. I purchased the red/gold and the brown/gold valances. They will look gorgeous in the guess rooms. ProsFabric material, accents, fast delivery. The valances arrived promptly and was even better quality than expected. A really nice product. So impressed with the curtains I received. I was pleasantly surprised with the quality and they added a nice touch of elegance to my dining room. The valences look great for the price. ProsThe material is good quality. ConsHad to return one valence with poor stitching. Customer Service was excellent in sending a replacement valence promptly. I purchased the ivory valance (2) for my kitchen. Recently, I upgraded my entire kitchen so I wanted something to accentuate the beauty of my cabinets. This purchase hit the nail on the head! Beautiful! ConsThe hem was not sewn very well. Bunched up. These arrived quickly! They were the perfect color for my bedroom. beautiful quality. Great price. I am impressed. Proscolor, quality, price, quick delivery. Darby valance is of good construction and nice materials. They were easy to hang and work well in my room. I am pleased with the quality of the product. The color on these curtains are wonderful. I'll be buying more of these. The Darby valance was exactly what I was looking for in my freshly painted dining room! I ordered the Flame color it's perfect. I can't believe the price for the high quality of this valance. Swags Galore delivered my products in about 2-3 days too! Great website!! These are really cute valances! I like the look fully open better than bunched up. They color was just a bit off for the room I wanted to use them in, so I had to go with a solid set instead. I do think it is really nice quality. The delivery was very quick. I am returning these and have bought more from this company in a solid. The return e-mail came almost immediately. So far I would recommend purchasing from this company highly. Beautiful tailored valance! I have bookmarked your website and will definitely use your company again. These valances are lined and hang very nice. I bought 4 panels for a large window for a gathered look. Very rich looking. I bought chocolate. 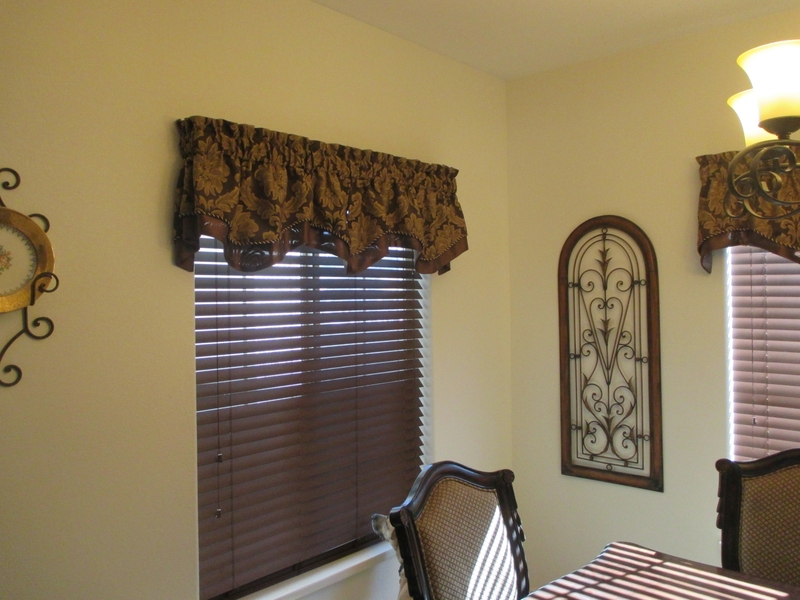 Loved the color, look and quality of this valance and the prices are great! This valance in the dining room along with the drapes I got that match it, make my dining room look like it upgraded significantly. I love this Valance. they're beautiful and very elegant looking. shop with confidence! Love my new curtains. Color was just like the picture. ConsOnly 50 inches. If you want them bushy you need to order two for each window. I just received my valances in the mail and it looks great. Quality is excellent. I'm using the valaneces in my kitchen. I'm looking for chair cushions with the same material. Great purchase !! Love Love turned out great and good quality for the price defiantly ordering again!! I bought this valance in two colors for two different rooms. They are beautiful! Great colors, rich fabrics, very well made. Quick shipping was a bonus! I love damask! These coordinate with my bedding perfectly-very classic. Highly recommend! ProsBeautiful! They are durable and hang nicely.